I was a bit caught off guard last season when I liked this show and now, at the start of its second season, I’m still not disappointed. June graduated from Indiana University (sidebar: what’s with all the tv shows recently with Hoosier connections? THE MIDDLE, PARKS AND RECREATION,it seems like there’s a new one each week!) and moved ot New York, where the financial job she had lined up lasts no more than a few hours. She ends up moving in with Chloe, a borderline-crazy party girl who happens to be best friends with James van der Beek (of DAWSON’S CREEKfame). This isn’t a very deep show, but it is a lot of fun — especially if you’re a) within the same age range of the characters and/or b) a DAWSON’S CREEK fan. The cast is relatively endearing, despite the crazy situations of their characters, and although it’s similar to many of the other young adult comedies that are out there it manages to stay mostly fresh. I also enjoy the recent spate of shows with actors playing themselves as characters (ie, ENTOURAGE, etc.) and the inclusion of van der Beek leads to a lot of DAWSON and jokes about other WB shows, of which I’m also a fan. The Beek from the Creek! 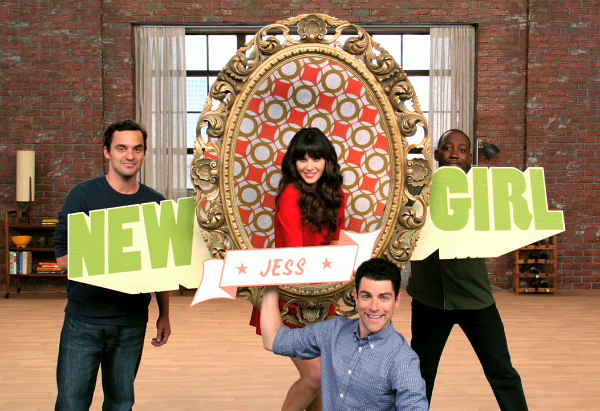 NEW GIRL is similar in vein to APARTMENT 23, following the young adult situational comedy formula tha tis probably not funny unless you’re in the demographic or, in this case, really love Zooey Deschanel. Fortunately, I fall into both of those categories and NEW GIRL was definitely one of my favorite debuts last season. The cast is great (I’d follow Zooey anywhere, and I’ve hearted Max Greenfield since his stint on VERONICA MARS) and the writing is lively. But most people not in the target demo probably aren’t going to enjoy the shenanigans of this bunch. 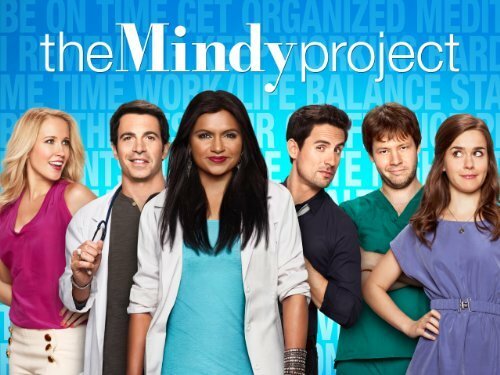 THE MINDY PROJECT is definitely one that has surprised me this season. I turned on the pilot fully expecting to hate it because I didn’t particularly care for Mindy Kaling on THE OFFICE(Kelly), but this one is another young adult show that’s a lot of fun. It’s still finding itself a bit — it’s primarily “set” in a doctor’s office, although (at least so far) the show is only loosely tied to that set and I wouldn’t really call it a medical show. There are also a lot of auxiliary characters (several are presumably medical assistants – but I’m really not even sure what they do – as well as Mindy’s best friend outside of the office) that either need to be worked into the show better or cut down even further. It’s a bit distracting this early when you’re still trying to get to know the main characters. It’s a very good tie-in with NEW GIRL, both of which I would think trace their roots back to shows like MARY TYLER MOORE. I’m definitely looking forward to seeing more of this as the series moves forward. GO ONis another freshman comedy that I wasn’t too excited about before seeing the pilot. 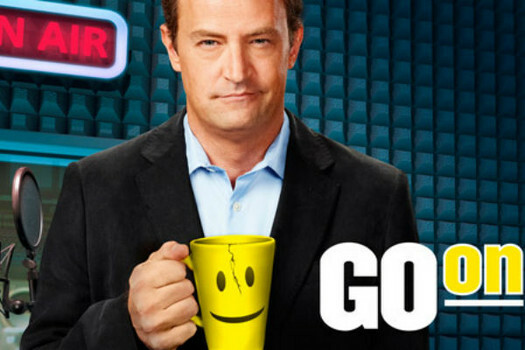 Although I enjoy Matthew Perry, the premise for the show didn’t seem that interesting to me. But I’m happy to say that I’ve really been enjoying it. Perry plays Ryan King, a sports radio personality whose wife is killed. He is subsequently mandated to attend group therapy. While it definitely doesn’t sound funny on the surface, this show has done a really good job so far between balancing the humorous situations of the support group mishaps and its more touching moments as Ryan learns to grieve and heal from his wife’s death. The show benefit from a talented supporting cast, including John Cho (Harold, of HAROLD AND KUMARfame) as Perry’s co-worker and the characters in the support group are all decently well-written individuals. VEGAScontinues the string of debut shows that I’ve been pleasantly surprised by. This wasn’t even on my radar until the week it premiered and I decided to give it a go when I saw Dennis Quaid was one of the many headlining names. Quaid plays Ralph Lamb, a former military man turned rancher who is persuaded to take on the role of sheriff in 1960s Las Vegas. 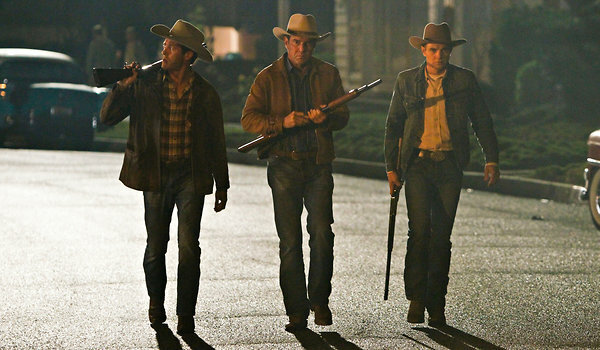 It’s inspired by the true story of a rancher who was the sheriff during the 60s and 70s. Lamb is up against the mob, led by Vincent Savino (Michael Chiklis of THE SHIELD and canceled-too-early NO ORDINARY FAMILY). Quaid and Chiklis are joined by Carrie-Anne Moss (THE MATRIX) as the assistant DA, Sarah Jones (of last season’s canceled-too-early ALCATRAZ) as a mob financial manager and Jason O’Mara (of last season’s canceled-too-early TERRA NOVA). Although it’s fairly slow-paced, I like the development of the characters. My only caveat is that the story had better start paying off with some of the bigger picture storylines in the latter half of the season to make it worth the slow build-up. 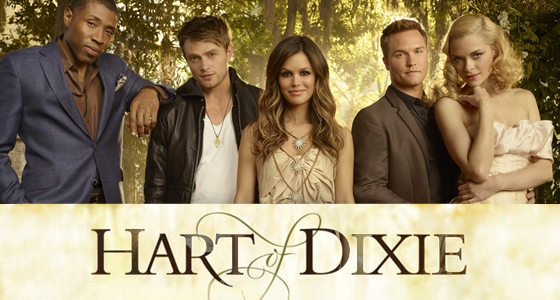 The CW’s HART OF DIXIEis definitely the television equivalent of a Reese Witherspoon/Kate Hudson-style chick flick. Now in its sophomore season, it stars Rachel Bilson (THE OC) as Zoe Hart, who leaves New York and her dreams of becoming a big-name surgeon to work in a small medical practice in Bluebell, your sterotypical small Southern town. Josh Schwartz of THE OCand GOSSIP GIRLis the executive producer and it’s similar to the other shows without quite as much of the high-level drama. HART OF DIXIEis definitely much more light-hearted and less mean-spirited than those shows can sometimes be. There’s not a lot of depth to the characters, but it is a fun hour of television that fans of chick flicks can definitely appreciate. Just kidding — I didn’t even make it through the pilot. I tried. It was bad.